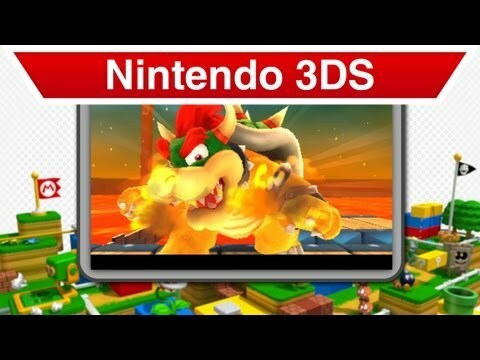 Like other games for Nintendo 3DS the game can also be played in 2D, but the 3D visuals make it easier for players to judge the depths and distances in their environments. Discover the joy of 3D gaming as you can more accurately judge the jump to the next platform or how far Mario is from a question block! Among other outfits for Mario, the fan-favourite Tanooki Suit makes a comeback. Use the Tanooki Suit’s tail to attack enemies or float gently down from great heights. Accessible and challenging in equal measure, SUPER MARIO 3D LAND offers new and familiar abilities that add unique gameplay strategies to the adventure! Make your way to the end-of-level flagpole using Mario's signature moves - or try to apply his new skills in challenging ways if you dare to discover every hidden shortcut and secret!